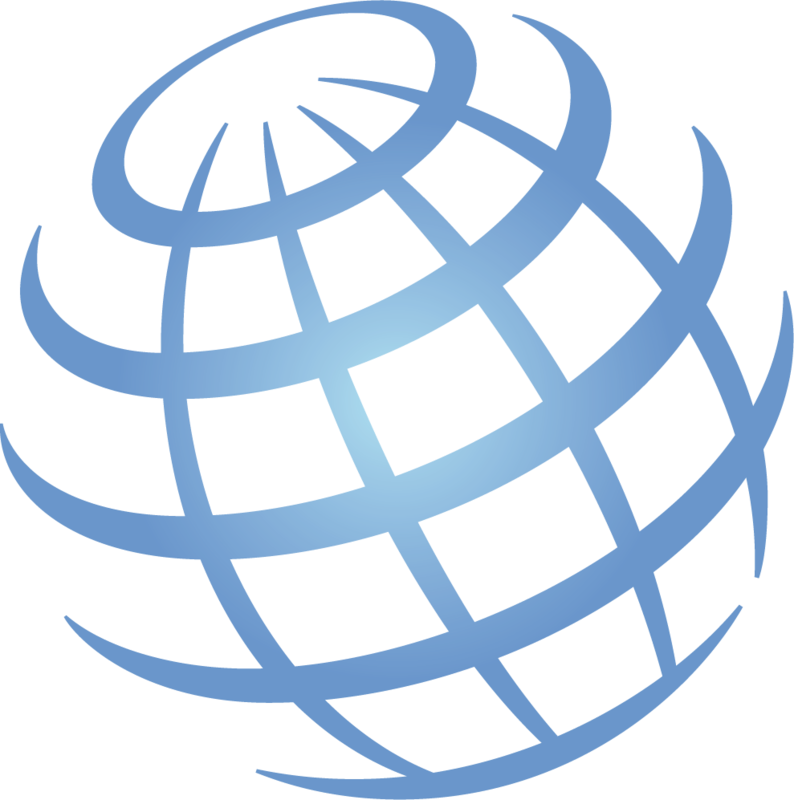 The World Trade Organization (WTO) deals with the global rules of trade between nations. Its main function is to ensure that global trade flows smoothly. 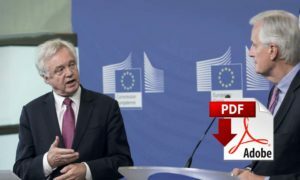 What does “No Deal” with the EU mean? ‘No deal’ with the EU means no withdrawal agreement and no free trade agreement at the point of leaving. It does not mean no agreed terms on anything, or that we will not reach a full free trade agreement later. Where there is a deal between two countries or more, WTO rules also apply – but they also apply to trade members, like the UK and EU, not dealt with directly in a trade deal. Without an FTA, the UK would simply become like other third countries to the EU, such as the US. Why won’t other options work? 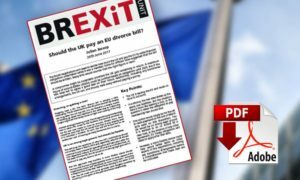 Naturally, there are many other options that are still being discussed for how the UK can depart from the EU, including the White Paper. As widespread opposition has grown across the political spectrum in the UK Parliament and outside to the Chequers proposals for exiting the European Union – and, as the Government continues to maintain its position that the only options available are (1) the Chequers proposals or (2) leaving the EU without a deal on trade, attention is now turning toward the implications of these options. Prime Minster Theresa May gave a speech on 17 January in which she provided further information on the arrangements for Brexit. After Brexit, the UK will no longer be in the jurisdiction of the European Court of Justice (ECJ). The UK will, once again, take full control of its own laws and the Single Market altogether. The UK will also leave the Customs Union in order to be free to negotiate its own free trade deals. In light of the above, Ruth Lea argues that trade can thrive under WTO rules. WTO rules are not something you “fall back on” in the absence of a better bi-lateral agreement. They are the foundation for and structure around which all international trade is carried on. Bi-lateral and platform trade deals (such as FTAs and customs unions) build on this structure. WTO rules still apply, both to cover aspects of trade that are not dealt with in the trade deal and to regulate the parties’ trade with countries that they do not have a trade deal with. The proposals in the UK Prime Minister’s speech on 17th January and the White Paper on 2nd February will require a new construct for cross-border regulatory coordination between the EU and the UK, which will operate in a complex legal and regulatory environment (outside the EU/EEA single market). 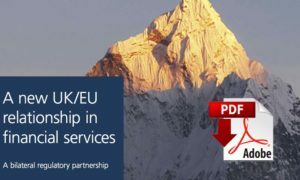 CMS and the Legatum Institute Special Trade Commission have produced a joint report which looks at how the new UK/EU partnership might work in the field of financial services. The report aims to move away from binary and simplistic discussion (such as ‘passporting’ versus ‘equivalence’) and to contribute to the development of a more informed consensus. The partnership concept that the report envisages is flexible to cater for all political outcomes and is highly negotiable. 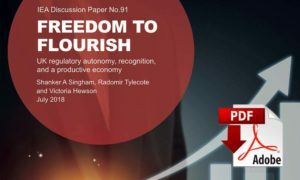 The report seeks to explain and illustrate the spectrum of possibilities, but it does not attempt to fix on detailed measures or on the priorities for each sub-sector/area of FS. We would like to acknowledge the contribution of various recent reports in this field1 which have been very helpful in the writing of this report. 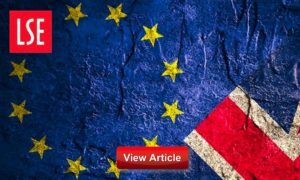 When the British people voted to leave the European Union on June 23rd, 2016, the economic backdrop was not positive. Measures of actual wealth creation had been down since before the financial crisis. Growth in industrial output has been down for over ten years. The elevated growth of the 1990s in developed countries collapsed with the 2001 recession, and then started to increase once more until 2004 when it started to slow. The Global Financial Crisis significantly worsened what was already a deteriorating situation. This was partly because the global trade agenda had been stalled. The only multilateral agreement since the 1995 launch of the World Trade Organization (“WTO”) itself was the WTO Agreement on Trade Facilitation. This agreement which relates simply to ensuring better customs processes to facilitate trade movements took fifteen years to agree in the WTO. The more difficult discussions on services, investment, competition and the like have been stalled since 1997. Changing the Government Structure to Deal with the New Reality. Governments have to catch up with the reality of trade in the 21st century. The importance of the trade and exports agenda needs to be recognised throughout government with a systematic whole-of-government approach embedded in all areas. 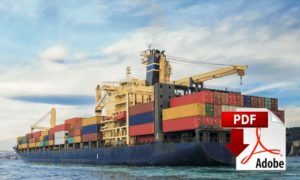 The UK government has taken some steps towards this but, as this paper demonstrates, there are many practical areas where this approach could be furthered for the benefit of the export agenda. Withdrawal from the EU must mean regulatory autonomy for the United Kingdom – sovereignty over its regulations. This reflects the democratic mandate of the 2016 referendum and the 2017 manifesto commitments of the Conservative and Labour Parties, and will propel growth and competition in the economy. It is also necessary for the UK to be able to sign advanced trade agreements with countries around the world. 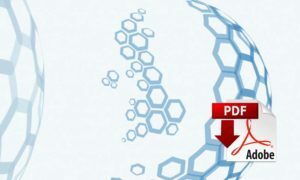 The United Kingdom has a unique opportunity to use withdrawal from the EU to grow its economy and become considerably more productive. It is vital that nothing is done to take these benefits off the table. But for pro-competitive regulation, regulatory autonomy is vital. Director general of the World Trade Organisation (WTO) has poured cold water on the apparent hysteria surrounding the consequences of Britain leaving the EU without a trade agreement, saying it wouldn’t be “the end of the world”. While British negotiators and the UK Prime Minister Theresa May are working to get a trade deal with the European Union before Brexit becomes fact at any cost, pledging £40 billion over the so-called Brexit bill and maintaining EU strings through a “transition period”, the senior diplomat told the Daily Telegraph that leaving without a deal would not be a problem for the UK. Historically, the British system of free trade made Britain, Europe and the world richer. The EU system that has replaced it—of protectionism and harmonised regulation—has constrained economic growth for Britain and the world. There is now a brief opportunity for Britain to restore her freedom to trade, liberalising the global trading system itself. But for the UK to be fully independent in its capacity to trade, it must be fully independent politically. 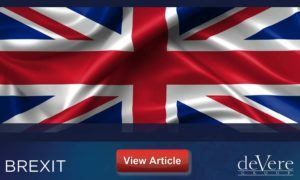 This paper outlines what is needed in an interim period and beyond for the UK to be able to make independent trade deals having left the EU, reflecting the will of the British people expressed in the referendum on 23 June 2016. 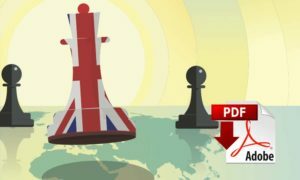 We describe what is at stake: how the UK and the world will benefit from trade liberalisation, but conversely how failure to secure the right terms in the interim will leave the UK without the leverage needed to secure the right trade deals, placing it in a permanent rule-taking position, only halfway out of the EU. Free trade and free and competitive markets have been the most powerful antidote to poverty since the Second World War. As a wealth-creating engine, trade has an unparalleled record. Trade has changed lives and communities. It has transformed villages and towns, and given hope and opportunity to billions. As the UK leaves the EU, it is vital that we do everything in our power to increase trading opportunities for the people of the UK, including those in Northern Ireland, and for the people of the Republic of Ireland, the rest of Europe and the wider world. While some look at the particular issue of the Irish border as only a problem to be solved, we believe that it is also an opportunity. We do not seek to minimise the very real challenges that the people of Northern Ireland and the Republic face. 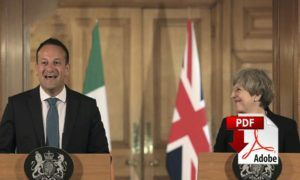 However, we believe it would be a mistake not to recognise the opportunity that the people of Northern Ireland in particular have if the UK is more open to the world and engaged in trade liberalising initiatives with many countries, as well as global institutions like the World Trade Organization (WTO). 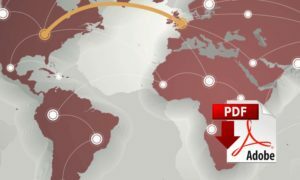 Global growth has been stalling for several years, with measures of industrial output falling since before the 2008 financial crisis. 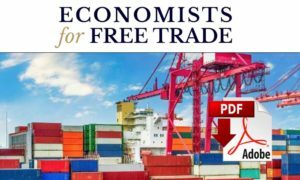 Deep trade liberalisation can be a catalyst to economic growth again, such as through a UK-US free trade agreement (“FTA”). Such an agreement has been mooted since the early 1990s. There is a Trans-Atlantic Trade and Investment Partnership (“TTIP”) between the US and the EU currently under negotiation (although not actively at present), which the UK would no longer be a part of once it leaves the EU. Without the restrictions associated with EU membership, the UK has an opportunity to negotiate a deep and effective trade agreement with the US, including in areas that previously have been too politically difficult for negotiation.